Gruinard Island, off the northwest coast of Scotland. Most famous for being the test site for Britain's biological weapons. It was contaminated with anthrax for decades. During World War II, virtually all parties considered conducting large-scale operations that would likely result in immense destruction and catastrophic death tolls. Unfortunately, some of these were put into action, demonstrating the unimaginable horrors of war. In 1942, the British began planning Operation Vegetarian, which would have possibly wiped out millions of human lives, caused a crippling famine, and contaminated a large part of Europe. The course of the war prevented the operation from ever being put into action, but even the preparations caused some unplanned damage. In the spring of 1942, at the time when most European countries were either neutral or under Hitler’s control, the British feared that the Nazis might be planning to invade the British Isles. Since nuclear weapons had not yet been made ready and mankind was yet to discover their grim destructive power, biological warfare was seen as one of the most effective ways of forcing a country to surrender. Hitler’s seemingly unstoppable expansion prompted the British to start developing their own biological weapon, which was supposed to disrupt the German economy and shift the power into the hands of the Allies. Prime Minister Winston Churchill tasked Dr. Paul Fildes, director of the biology department at the secret military research facility of Porton Down, near Salisbury in Wiltshire, to find a way of using some biological agent to hinder the progress of the German war industry. Fildes came up with the idea of dropping anthrax-contaminated cattle dietary supplements, popularly known as “cattle cakes,” onto German pastures. In Fildes’ opinion, such an operation would almost immediately eradicate the meat supply and, consequentially, cause an enormous death toll coupled with a nationwide anthrax contamination. British military authorities accepted the plan and secretly initiated the production of five million contaminated cattle cakes which were to be dropped over different areas of Germany by 12 customized RAF bombers. In the winter of 1942 and the spring of 1943, the British decided to test their newly developed anthrax warfare on Gruinard Island, a small privately owned island in Scotland. The government took over the island and promised the owners that they would be able to repurchase it for a sum of 500 pounds once the testing was finished. A flock of sheep was transported to the island and a small explosive device surrounded by anthrax-laced cakes was detonated close to the unsuspecting animals. An extremely virulent strain of anthrax was used in the cattle cakes and the deadly bacteria killed the sheep within days. Also, the military researchers who conducted the test realized that the detonation spread the bacteria across the entire island, and it was quarantined indefinitely. Furthermore, the test almost caused the British to suffer a catastrophe similar to the one they intended for the Nazis. The contaminated sheep carcasses were buried, but one of them somehow ended up in the sea and floated to mainland Scotland. An unfortunate dog ate some of the infected carcass and then transferred the deadly disease to several local dogs, who then spread it among cattle and various local pets. Ultimately, around 100 local animals died of anthrax, but the authorities managed to quarantine the area before the vicious bacteria affected any of the human population. The government reimbursed the locals for the damage, but the truth remained a mystery until the mid-1980s when the documents detailing the incident were declassified and the locals finally found out what killed their animals. Interestingly, the Gruinard Island debacle didn’t deter the British from continuing with plans for Operation Vegetarian. By the spring of 1944, five million cattle cakes were ready to be transported to Germany and the customized RAF bombers tasked with dropping them were on standby, awaiting Churchill’s orders. 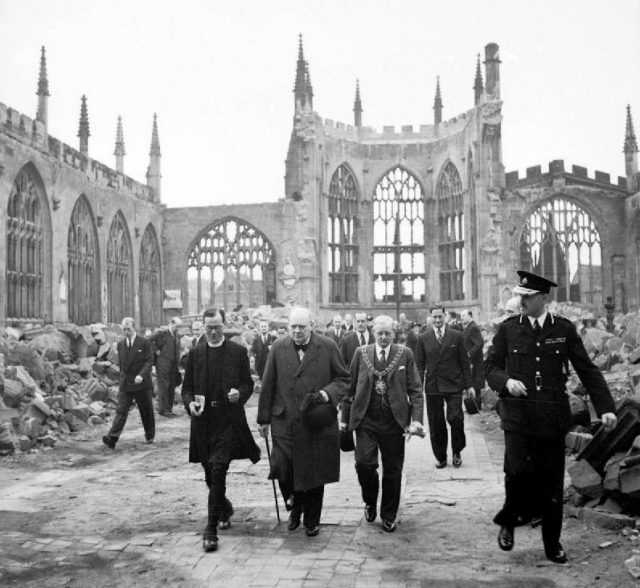 However, at that time, Churchill was aware that it was only a matter of time before Germany succumbed to the Allied attacks which decimated Hitler’s armies on battlefields across Europe. Fortunately for the future of the European economy, he decided to discontinue the operation and all five million contaminated cattle cakes were destroyed in an incinerator. Although the operation was terminated before the end of the war, the story of Gruinard Island continued. In the mid-1980s, the island was still quarantined and no visitors were allowed. At that time, newspapers across Britain started receiving anonymous letters with the heading “Operation Dark Harvest.” The unknown senders urged the authorities to initiate the decontamination of the island and some of the letters even contained samples of allegedly contaminated soil. The senders threatened to distribute the samples across Great Britain and initiate a devastating anthrax epidemic. 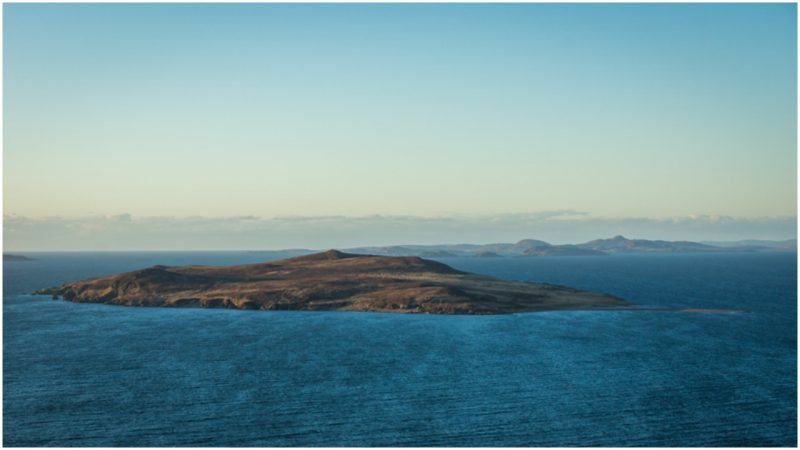 Frighteningly, the analysis of the sample proved that one of them indeed contained traces of anthrax and the researchers concluded that it likely originated on Gruinard Island. Public pressure and nationwide anthrax anxiety prompted the authorities to decontaminate the island. A special solution of formaldehyde and seawater was sprayed across the entire island and a flock of sheep was placed there so that the authorities could determine whether the danger had ceased. In 1990, Junior Defense Minister Michael Neubert became the first person to visit the anthrax-free Gruinard Island. Warning signs were removed and the island became available to visitors after nearly 50 years of quarantine. That same year, the descendants of the original owners repurchased the island for 500 pounds, as it was promised by Churchill’s government in 1942.